Stay focused on the road ahead and avert unnecessary detours with our payroll processing services. Save time and save money with Partner Solutions. We ensure accuracy, timeliness and compliance through our industry leading payroll and tax engine. 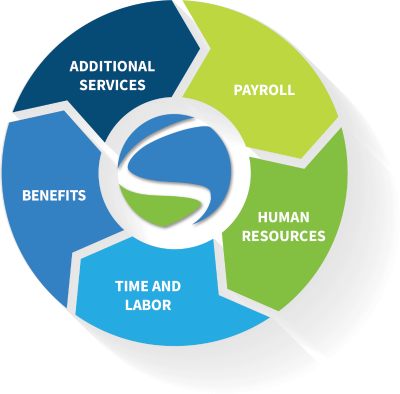 Outsource payroll processing without sacrificing the control, flexibility and accessibility. Our employee portal puts your staff in the driver’s seat, making it fast and easy to get direct access to pay data, view and print pay stubs and W-2s, update personal information, view time off balances and submit requests for time off; all from their computers or mobile devices. Leave the heavy lifting to us. Keeping up with ever-changing federal, state and local payroll taxes can be daunting – with our integrated Tax Management engine, rest assured your business will remain in compliance. Sustainability is key to our future. At Partner Solutions we go the extra mile to provide digital solutions that reduce waste and administrative burden. Our completely paperless solution eliminates needless waste without compromising the service you need on the path to your success. Next stop, convenience! Our direct deposit solutions provide employees with the options they need to customize the direction their funds are headed, including depositing into multiple accounts. Get where you want to go with our completely integrated and flexible time tracking module. Employees can request time off with a few clicks from their mobile device and managers can approve requests from email notifications; removing the administrative roadblock of manually tracking time-off. Ensure a full-point inspection with our agency check and garnishment services. We offer garnishment services in all states, where court-ordered deductions are expertly managed so the journey with your employees remains trouble free.